Showbox addons allow the user to watch quality TV shows in one click with great HD quality. This is considered as one of the best add-ons on Kodi fro TV shows. Showbox on Kodi has the latest and best releases and also a very practical search function. Showbox is originated from a popular app called MovieBox that not only provides an amazing user interface but also an application that was full of Movies, TV shows and much more. This Showbox on Kodi box is a library of movies and TV shows title organized by genre and chronology. The latest versions of this addon allow the user to stream a movie in one go as the previous version play it in parts and have additional function over older version like music streaming. 1.1 Can You Get Showbox for Kodi? 1.2 How to Install Showbox for Kodi on Windows? 1.3 How to Use Showbox for Kodi AddOn? The process of downloading and installing the Showbox add-ons on Kodi is very easy. 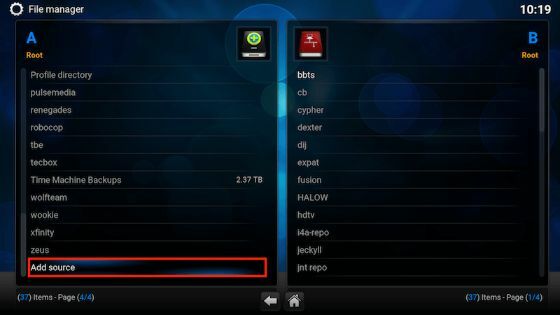 SuperRepo provides an automated index for the Kodi users to gain access to Showbox for Kodi. Users can install Showbox on Kodi using the SuperRepo repository or by installing a single zip file. After the installation of Showbox plugin for Kodi, one needs to go to the name of the content and have to select it for playing a movie or any other TV show. The user will find a list of players and websites that carry the content and they have to select one of the content they like to play. This add-on makes the things tricky as internet forum help the user in getting access to their favorite videos and other show. Can You Get Showbox for Kodi? Showbox is available as add-ons for the Kodi that enhance the way of user’s entertainment with some additional features. This allows the users to watch live television episodes and movies online. The user needs to download Showbox zip for Kodi to get this add-on on their system. 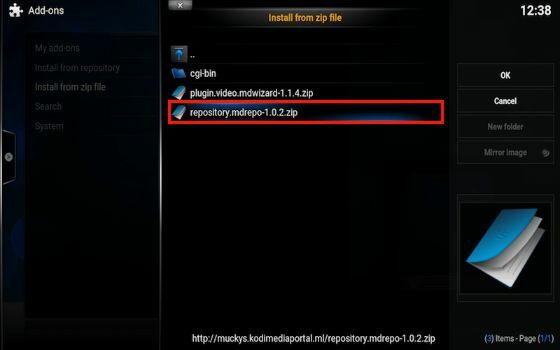 As the downloading is done, then you have to install this zip file on to get Showbox on Kodi. After the installation of the zip file, the user has to go to the videos tab and has to click on the “Add-ons”. Here, you can find “show box” add-on in the list, open it and use it just like other add-ons. How to Install Showbox for Kodi on Windows? This add-on is not available on Google Play Store but the user can still install Showbox on Kodi Android box using the app file available on the internet. The Showbox add-on is present in the “Mucky Duck repo” folder. 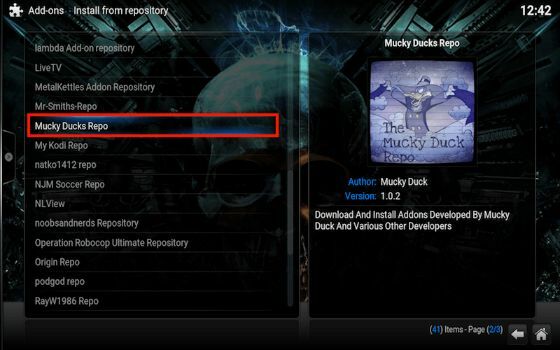 To start this addon, you need to install the Mucky Duck repo file first. The user needs to download the zip file for Showbox Kodi download and need to save the file in a location they can easily remember. Step 1: First step is to start the Kodi application. A screen will open in front of you as shown in the below image. You have to choose the “System Tab” and then have to click on the file manager. Step 2: After clicking on file manager, the users will get a list of options. They have to choose the “Add Source” among all the options appeared on the list. The image below clarifies the step. Step 3: Next step is to select the box having <None> written in it. Step 4: Now you have to type the address http://muckys.mediaportal4Kodi.ml as it is in the text box and have to click on the “Done” button. The below-drawn figure clears the step for you. Step 5: After this, you have to highlight the box with the title as to enter the name for a media source. And enter the name i.e. “mucky” and click OK. 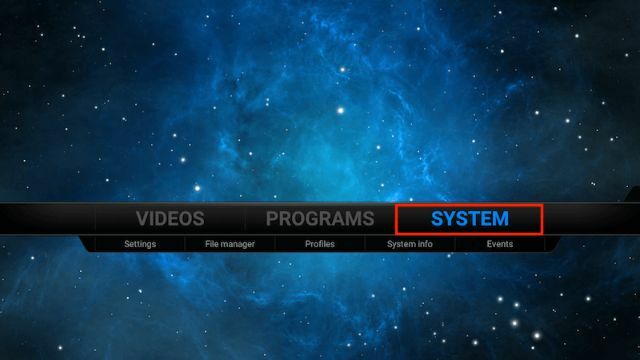 Step 6: As you have done with entering the name for the media source, return back to the home screen of Kodi. Step 7: Here, the user has to click on the “System” and then select the “setting” sub-option. There user will get a list of options from where they have to select the “Add-ons” option among various available choices. Step 8: The next step is to choose the option install from zip file option. Step 10: Users have to wait for some time after clicking on the repository file, after few seconds they will find an Add-ons enabled notification. Step 11: After receiving the message, you have to select the option Install from the repository. Step 12: Clicking on this option an interface with a list of options will appear in front of you as shown in below-drawn figure. Choose the option “Mucky Ducks Repo” from the list. Step 13: Next option is to go for the option “video Add-ons”. Step 14: A list of add-ons will appear after clicking on the above-said option, you have to select “SHOW-BOX” option among all available add-ons. 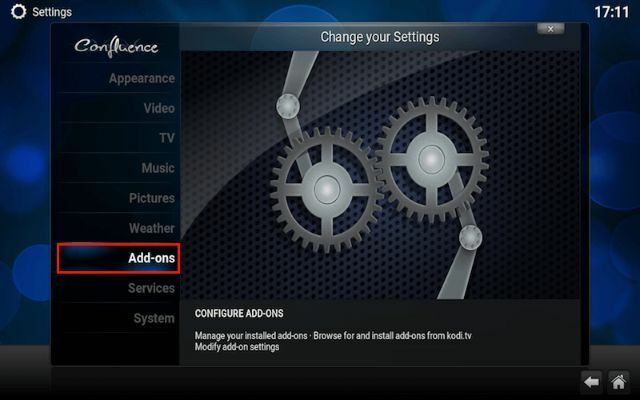 Step 15: After selecting the add-on, click on the install button. Step 16: Now, users have to wait for the notification that shows the Add-on is enabled. These are some steps that users have to follow carefully to install the Showbox for Kodi windows without any hassle. After completing all these steps, you can watch your favorite videos online without any bug. One can also download Showbox for Kodi Android phone to also enjoy the benefit of this add with your smartphone. Users need to follow some steps to get this Kodi add-on on their phone. The user has to make sure that in their settings, installation of “apps from unknown source” is enabled. They have to download the Showbox on Kodi 2017 app file from the internet. After this, they have to tap the file to run the setup and have to click on install. Wait for few second to get the app ready and you are now able to watch unlimited free movies and TV shows. 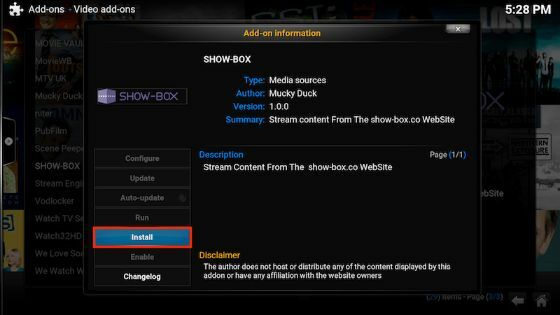 The latest version of Showbox apk for Kodi is 4.91 that offer lots of features as compare to the previous one. If you have an older version, then you need to update your show box to get the new benefits offered by this add-on. This version is Ad free and supports free music streaming and download. Here select “Security” or ”Privacy” option. Now you have to select the “Device Administrator” option. Next step is to uncheck the “Secure Service” option given in the list. After following all these steps, your problem has been resolved. How to Use Showbox for Kodi AddOn? Kodi is an open source media player application that is available free of cost on various e-commerce sites. Showbox Kodi xbmc features great user interface and is available for multiple operating system and hardware platforms. This allows the users to play and views most music, videos and other digital media files from local and network storage media and the internet. You have to go to the option name of the content in the add-on to play and watch the contents. There are lots of links to various websites available in the show box that carries the content. One can select any one of the links to play their favorite videos, music, and movies online. This allows the user to watch high-quality videos and movies for free. The user can enjoy various resolutions from 480p to 1080p as per their requirements. One of the advantages of this add-on is that all the movie and TV show come with Showbox Kodi link. This means that users have lots of option on where to watch the videos. It has an appealing and familiar graphical user interface; hence one can easily use it without any trouble. This allows the user to download the movies or videos to watch later. The Showbox add-on offers a huge range of TV shows and latest movies. One of the best things about this add-on is that it is compatible with Android, iOS, and personal computer. The user can find different categories to sort their favorite movies and shows. Hence, there is no need to browse through the long list to get your preferable episode. Showbox on Kodi is one of the best options if the users want to enhance their entertainment options. This Kodi add-on comes with all the streaming capabilities to watch TV shows and movies for free of cost. One can watch movies and videos online and stay up to date with all latest episodes they have missed. The benefit of using Showbox on Kodi app is that it saves your money and time spends on going to the theater for watching latest movie. This allows the user to watch anything at their convenience without any problem. The process of downloading and installing the Showbox add-ons on Kodi is very easy. SuperRepo provides an automated index for the Kodi users to gain access to Showbox for Kodi.